This year, Congress is having its most serious debate about draft registration in decades -- but so far, the debate has ignored the peace movement and the history of the draft, draft registration, and draft resistance. If we don't speak up, we will miss our best chance to put an end to preparations to reinstate the draft, and to put an end to the fantasy of military planners that the draft is always available as a fallback if the military runs short of troops. Even when the "poverty draft" and the outsourcing of war to civilian contractors obviates the need for a draft, draft registration indoctrinates young people that they have a "duty" to fight. All male U.S. residents, regardless of citizenship or immigration status, are required to register with the Selective Service System when they turn 18, and notify Selective Service every time they change their address until their 26th birthday. Draft registration is one of the ways that all young men (and possibly soon young women as well) have to interact with the military and think about their relationship to military "service". The Selective Service System maintains contingency plans for a general "cannon fodder" draft of young men (based on the current list of registrants) and/or a separate Health Care Personnel Delivery System for men and women up to age 44 (based on professional licensing lists in 57 medical and related occupations). These plans could be activated at any time that Congress decides to reinstate either or both forms of a draft. Few young men comply fully with the draft registration law. Knowing and willful refusal to comply is a crime, but nobody has been prosecuted since 1986. To convict anyone of draft resistance, the government would have to prove that they knew they were required to register. This would be difficult unless someone has told the government, or said publicly, that they are deliberately refusing to register. In practice, there is no penalty for late registration, as long as you register before your 26th birthday, and no enforcement of the address change notice requirement. Most draft notices sent to the addresses in Selective Service records would wind up in the dead letter office. Passive resistance has rendered the registration list all but useless for a draft. Most men who register for the draft do so only if it is required for some other government program. Men who haven't registered for the draft are ineligible for Federal student aid and some other Federal programs. In some states (although not in California), men of draft age are required to register in order to obtain a driver's license, or are automatically registered (sometimes without even realizing it) when they get a driver's license. Male immigrants of draft age must register before they can be naturalized as U.S. citizens. 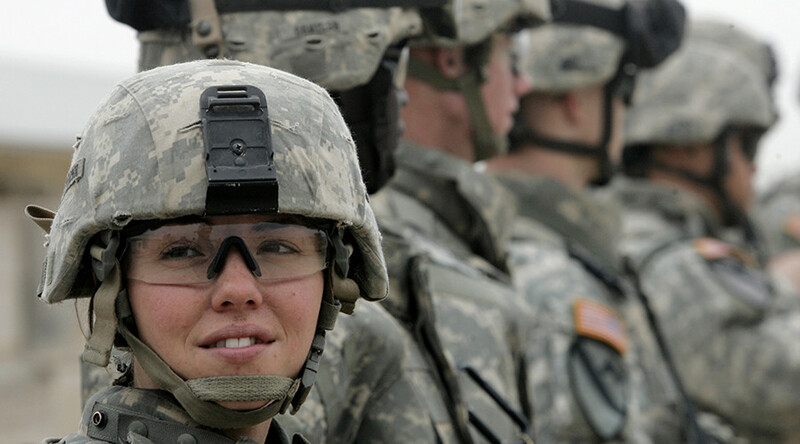 Will women be required to register for the draft? In 1981, the Supreme Court upheld requiring only men and not women to register for the draft. The court based its decision on "deference" to the military policy which, at that time, excluded women from combat assignments. Now that this policy has changed, it's likely that continued registration of men but not women will be found unconstitutional. Lawsuits against male-only draft registration are already working their way through the courts; the next hearing in one of these cases will be scheduled soon in Federal court in Los Angeles. Most members of Congress would prefer to avoid the issue of the draft. But if Congress does nothing, court rulings are likely to invalidate the current male-only draft registration law. Congress will soon have to decide whether to expand draft registration to women as well as men, or to end draft registration entirely. Now that Congress has been forced to address the issue, we have a rare opportunity to be heard -- if we speak up. This is our best chance in 20 years to put an end to plans and preparations for one or another type of draft, and to restore the eligibility of men who didn't register for the draft for student aid, government jobs and training, naturalized citizenship, and other government programs from which they are currently excluded. Different bills have been introduced in Congress that would extend draft registration to women, end draft registration entirely and abolish the Selective Service System, or attempt to restore the previous exclusion of women from military combat assignments and preserve male-only draft registration. By far the best of these proposals is H.R. 4523, a bipartisan bill that would end draft registration, abolish the Selective Service System, and restore the eligibility of nonregistrants for Federal student aid and all other Federal programs. None of the leading Presidential candidates -- Clinton, Sanders, or Trump -- has taken a position yet on any of these bills. Any of these bills could be taken up for debate and vote at any time, possibly with little further warning. The time to sign the petition to Congress and to contact your Representative and Senators and the Presidential candidates, is now. Don't register for the draft. Oppose both the draft and draft registration, for women or for men. Support resistance by young women to the expansion of draft registration to women. Support H.R. 4523 to end draft registration, abolish the Selective Service System, and restore eligibility for Federal student aid and other programs for men who didn't register for the draft. Oppose continued contingency planning for a draft of health care workers. Support continued resistance to draft registration as long as it remains the law. Oppose any attempt to reinstate the draft or compulsory national service.